The weather is starting to turn to less than optimal outdoor cubby building conditions. But, rainy days are saved with indoor fort building fun thanks to Pl-Ug. 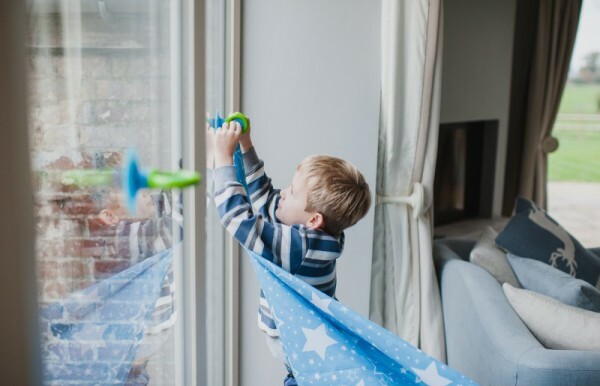 Cubby loving kids can exercise their fort building skills all year round with Pl-Ug Build Your Own Den Kits. 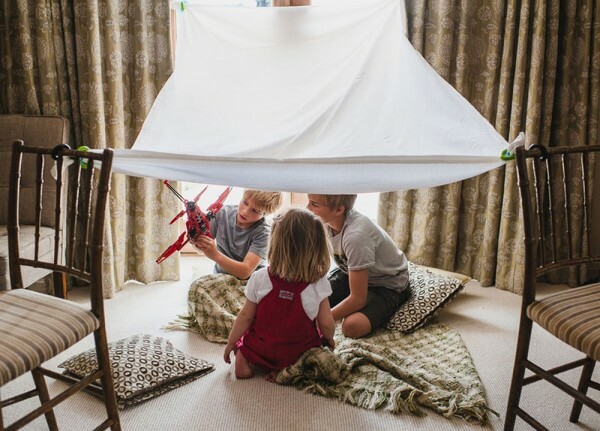 Three kits are available to choose from – the Den Kit ($24.95), perfect for beginners, the Canopy Den Kit (pictured below, $49.95) with awesome star print canopy included, and the Ultimate Den Kit ($69.95) which we’re sure advanced builders will get a kick out of. All Pl-Ug components (clamps, hooks, suckers and grips) are designed to connect together, and be attached to different objects around the house or garden such as furniture, clothes lines and trees. Once you have a structure all that’s left to do is secure a sheet (be warned your linen cupboard might be ransacked) and fix the ‘Keep Out’ sign! Pl-Ug Build Your Own Kits are available locally at Urban Baby.